Juan de Dios Mendoza Lebu, Lonco was the uncle of Jaime Mendoza Collio, who was assassinated by Carabineros 2009. 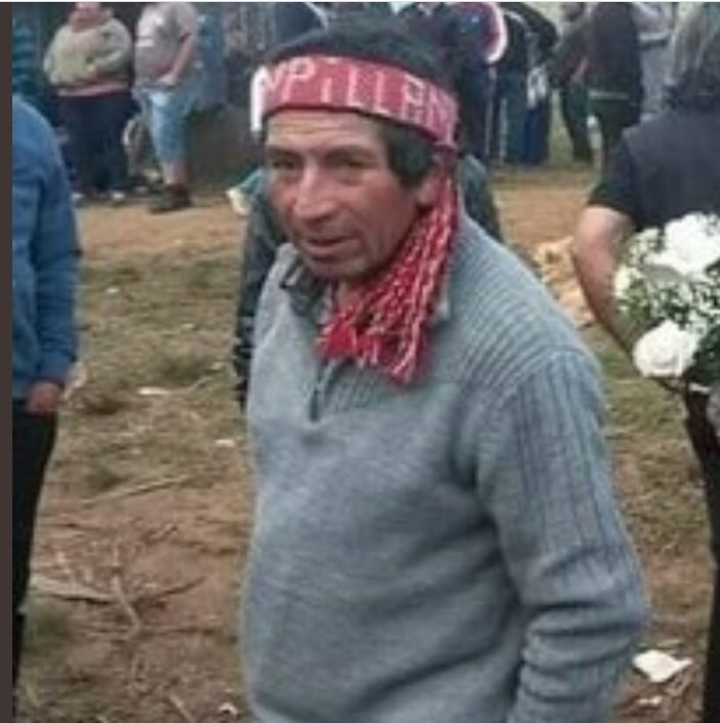 Authorities will investigate whether the crime against Juan de Dios Mendoza is related to the complaint made by Mapuche communities about acts of repression by police in the Araucanía region. The acting prosecutor has ordered the Investigative Police (PDI) to carry out the pertinent inquiries. Staff of the Legal Medical Service arrived at the place to remove the body, and will determine by means of an autopsy the cause of death. Local news sites are reporting that the body showed marks of violence, but no independent source has confirmed if there’s any connection between the death and the activities of the police. During the afternoon of Monday there were several clashes in the area between Mapuches and Carabineros personnel, during the eviction of seven agricultural properties that had been occupied as part of the protests for the murder of a young Mapuche man, Camilo Catrillanca, at the hands of Carabineros (Chilean police force) in November last year. Amnesty International denounce several cases of illegal arrests of Mapuche activists, dead threats, violences and even killings.